There's growing momentum behind one MP's legislative push to end the exploitative practice of unpaid trial shifts. A Scottish National Party MP has used his Parliamentary privilege to name and shame companies alleged to use so-called ‘unpaid trial shifts’. This is where companies bring in people to work without paying them, and without the guarantee of a job at the end. “My view is that these practices are already illegal. But in 20 years of the Minimum Wage Act there’s been no prosecutions for the use of unpaid trial shifts. This isn’t about work experience or internships. “I will use Parliamentary privilege to name some companies who have used unpaid trial shifts. He named one individual, Maxine Clifford, who was ‘regularly put on unpaid trial shifts of at least ten hours’ with Mooboo. Mooboo say they have since scrapped the scheme after he reported the company. He also claimed supermarket store Aldi advertised for 150 unpaid trial shifts in North East Scotland. Mr McDonald also claimed B&M Bargains in North Lanarkshire had used unpaid trial shifts. It comes as a YouGov poll showed 65% of people say unpaid trial shifts are not fair, to just 24% who think they are. 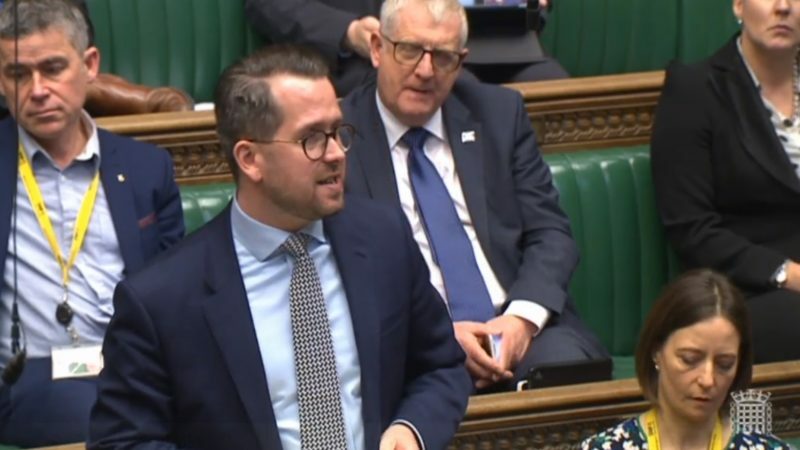 Mr McDonald has had support for his Bill from the Scottish TUC and employment law professionals and campaigners – as well as widespread cross party support at Westminster. The Unpaid Trial Shifts Bill is currently on its 2nd Reading, with progressive MPs hoping it will be carried forward into Committee Stage. Mooboo Bubble Tea were contacted but did not immediately respond to requests for comment.